Wanna Know More About Who Gets Paddled in Alabama’s Schools? By December 1, Alabama’a Every Student Succeeds Act (ESSA) state implementation committee will recommend how to implement provisions of the law to the Alabama State Board of Education. The State Board of Education will then have a few months to tweak the plan as it deems necessary before submitting a final plan to the U.S. Department of Education in the spring of 2017 for approval. The committee responsible for making the recommendations was created in March through an Executive Order issued by Governor Robert Bentley. Early Childhood Education Secretary Jeana Ross, who was appointed by Bentley as Chair of the committee, said the group began in April to organize how they will approach the work. Ross said the Alabama State Department of Education (ALSDE) already had defined the working groups, and ESSA committee members have now been assigned to those groups. Shanthia Washington, ALSDE’s Director of the Office of Student Learning, and Matt Akin, Superintendent of Piedmont City Schools serve as vice chairs. The goal of the committee, according to Ross, is to lay the foundation for how Alabama plans to implement the federal law. There is no template for how the plan must be submitted to the U.S. Department of Education for approval, but the committee can at least have the bulk of the work done to then allow the ALSDE to complete the plan, Ross said. She said research and information about ESSA has been distributed to committee members and that members are in contact with each other through an internal communication network, called Wiggio. Ross said it worked well to get them prepared for the rounds of meetings that will be conducted face-to-face. The first few meetings of working groups are set for Friday, June 24 in Montgomery (full schedule below). Communicating with the public is a priority for Ross, and she said that not only will there be a web space dedicated to the work of the ESSA committee on the Alabama State Department of Education’s website as required, but the Governor has provided space on their website. The Governor’s office’s website is live now and contains basic information about the committee and how the public can provide comment to the committee. The website states that public comments will be taken through October 30, 2016. It’s unclear what may happen in the time between the ESSA committee’s December 1 deadline and the anticipated March 2017 deadline for states to submit their plans to the U.S. Department of Education for approval. 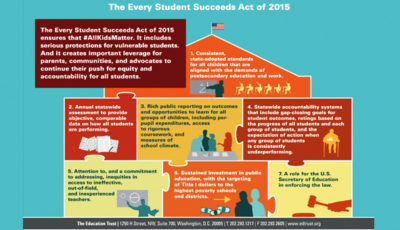 ESSA was signed into law on December 10, 2015, and replaces the No Child Left Behind Act. Accountability provisions begin at the start of the 2017-2018 school year. The ESSA committee was a hot topic at June’s State Board of Education work session, with long-time board member Stephanie Bell (R-District 3) questioning why Governor Bentley, who serves as President of the State Board of Education, has taken control of the process, saying he is only one member of the nine-member board and it is the board’s responsibility to oversee the implementation of ESSA. Bell said she and fellow state board member Betty Peters (R-District 2) tried to appoint themselves to the committee, but were told that would be a conflict of interest. 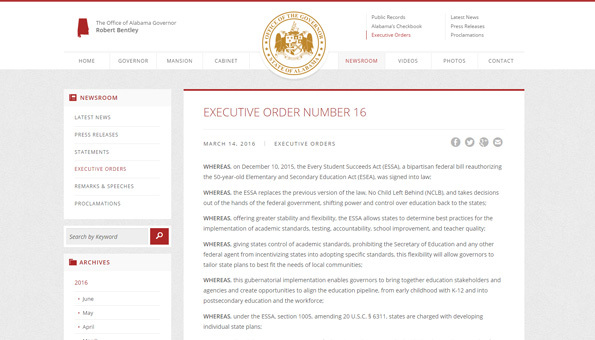 The Executive Order was amended in May to exclude state board members from serving on the ESSA committee. Each state board member was given two appointments to the committee. This isn’t the first display of the tug-of-war happening over who controls education in Alabama. Here’s an article we co-published with BirminghamWatch after April’s State Board of Education meeting, where tempers flared and frustration among board members was on full display. Bell said the way the Governor has taken control of the committee put the Alabama state board of education at a disadvantage and that implementation committees in other states aren’t being run by the Governor. “I don’t understand how or why that happened or why we allowed that to happen, because in the end, it’s going to come back to us and in the end this board is going to be held responsible for whatever is approved,” Bell said. 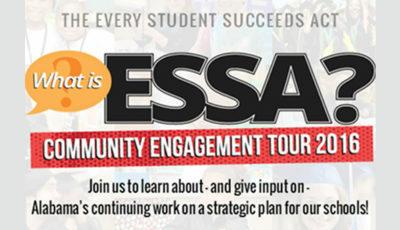 In February, multiple education groups, including the National Governors’ Association, the National Association of State Boards of Education, the National Conference of State Legislatures, the National Parent Teacher Association, the American Federation of Teachers, and the National Education Association among others, told U.S. Department of Education Secretary John King they formed the ESSA State and Local Implementation Network. We were unable to confirm how ESSA implementation committees are working in other states before deadline. We published this article in March after the Governor issued the initial Executive Order, showing how Governor Bentley took the lead and was the first in the country to do so. Bell demanded the state board take the committee back from the Governor’s control, adding, “We have to be the ones to control it. We have that authority in the law.” She repeatedly asked how the board could take back control of the ESSA committee. No other board members joined her in that demand. We stand by our characterization of Bell’s words at the state board work session (available on video, linked above), but have changed our sub-heading to reflect that Bell wanted the SBOE to control the committee, not that Bell herself wanted to control the committee. Interim state superintendent Dr. Philip Cleveland said the board will have final approval authority over whatever the ESSA committee recommends. Additionally, each working group is chaired by staff from the Alabama State Department of Education. Ross said she is working to find the best way to keep state board of education members informed about meetings and wants to find a good mechanism to allow state board members to engage in the process. Cleveland pointed out that three superintendents are serving on the committee, as is Cleveland, though he serves based on his position as Deputy State Superintendent for Career and Technical Education and Workforce Development which he held prior to being named interim state superintendent. Two assistant superintendents serve on the committee as well. Cleveland said in total, there are 21 members of the committee who are associated with the Alabama State Department of Education. Here’s a link to video of the State Board of Education’s discussion, which starts at 10 minutes 15 seconds into the video. And here are the Alabama School Connection’s live Tweets from the meeting and work session on June 9. Here’s the list of ESSA committee members published on the Governor’s ESSA website. This list shows a committee that is larger than the initial 26-member committee, with five additional appointments by the Governor. 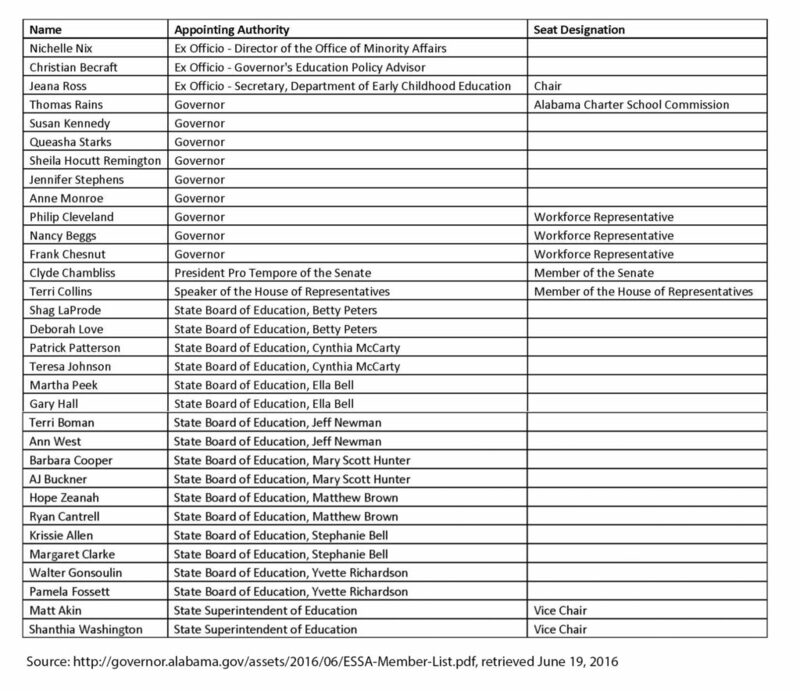 Roles of each member are not listed here, but the initial list showed all were affiliated with education in some way. We are working to learn titles of each of the members. ESSA requires states to reach out to broad groups of stakeholders, including parents, and it’s unclear whether any of the appointments on the committee are members of any of the recommended stakeholder groups. Ross is still considering how best to involve those multiple stakeholder groups. Ross said a survey is being created to allow teachers to share their thoughts on ESSA. Ross is working with Alabama Teacher of the Year Dana Jacobson on that project. Ross said meetings are planned to include principals and local superintendents in crafting ESSA plans as well. How the ESSA committee approaches this work is still evolving, Ross said, as there is no template and the federal regulations about ESSA haven’t even been finalized. 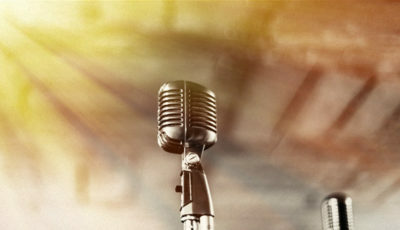 The Institute for Education Leadership produced guidance for state and local superintendents to engage stakeholders, recommending education officials reach out to broad groups through town hall forums and listening sessions and going beyond the letter of the law, acknowledging that people support what they help create. The Chief Council of State School Officers produced “Let’s Get This Conversation Started” to help states map out how they plan to engage broad groups of stakeholders. Upcoming meetings are posted on the Secretary of State’s Open Meetings Act website, and Ross said all meetings of the group will be posted there. Type “Early Childhood Education” into the agency search box. Here’s a list of the committee meetings being held on June 24 and June 27 in Montgomery. Meetings are held on the second floor at 135 South Union Street, Montgomery. Click here for directions. The meetings are open to the public, but the public will not be able to participate during the meeting. Though some of the meetings are running concurrently, we plan to attend as many meetings as possible. Ross said comment cards will be available for the public to share their comments. Ross said the plan is to publish all comments online. Ross said all of the groups will be pulled together for a full committee meeting some time in July, but that date has not been set. 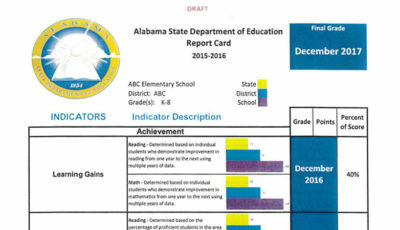 This work by Alabama School Connection is licensed under a Creative Commons Attribution 4.0 International License. This website is intended for informational purposes only. The ASC is a nonprofit news organization and exists only to keep the public informed of issues as they relate to the K-12 education system in Alabama. In the event you feel an error has been made, please contact us immediately at the e-mail link below. The ASC does not maintain offices nor a working telephone number dedicated for the organization. Links are provided as a courtesy, not as an endorsement.